Danforth uses a variety of state of the art tools that allow us to plan ahead, making our projects flow smoothly from start to finish. We work to minimize or eliminate unplanned obstacles to project completion. Our Team is trained to provide a broad range of Pre-Construction Services tailored to ensure project success. We offer Project Requirement Development, Estimating, Value Engineering, and Schedule Development. Project Requirement Development includes the development and review of building and system performance to meet your operational and project goals. Estimating is used to create a baseline for each project. Our Team can layout labor, equipment and material as well as subcontract budgets based on current market conditions. Value Engineering includes real time cost evaluations and design recommendations used to manage cost without affecting performance. Schedule Development utilizes the analysis of project sequencing as well as integration of other trades involved in the project to save both time and money. We Plan and Prepare, integrating past experience to ensure future success. We use all of our resources and company-wide project knowledge to develop feasible plans for any project regardless of size, type, or complexity. Our advantage as a Pre-Construction Services provider is that we are involved in all stages of a project. 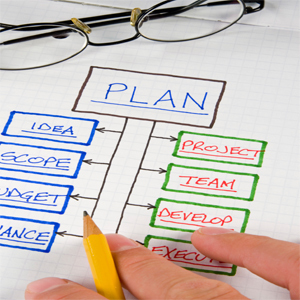 This affords us the knowledge and experience to plan an entire project without missing details. Our in-house experts are constantly working together, sharing expertise and recommendations to make each project a success before the construction phase begins. This results in innovative solutions that are mindful of overall cost, sustainability, and performance. Start Your Pre-Construction Service with Danforth. Meet with one of our Pre-Construction Service consultants. We’ll outline our process and begin your project estimate. Need More information? Send us a quick message and we’ll reach out to you to help plan your next Pre-Construction Services project. Get answers about our Pre-Construction services and speak with a knowledgeable Pre-Construction Service Expert.